Take inspiration from the timeless elegance of Biltmore. 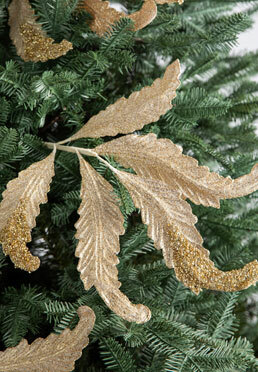 Our artificial floral picks feature intricately designed leaves that lend texture and sparkle to your holiday décor. Use them on your Christmas tree to complement the Matching Ornament Set or arrange them in a vase for a unique floral display.